As promised, here are some pictures of items I made for the Safehaven fundraiser yesterday. The first two are upcycled glass angels. I had a friend send me a pic as she wants one for her flower bed; she will be getting one for Christmas. They are pretty easy to make; it takes the right glue and a little patience. Using glassware that was once owned by a relative would be a great memento. This is my friend Kari, who is our fearless leader for these events putting together the reindeer gift bags. She wants me to design some snowman bags. Two samples of upcycled books I made to use as home decoration. The first book was created using the chalk transfer technique and a Sharpie Paint Pen. I used the technique featured here by Little Bit Funky for the second book. The image was printed in brown and looked perfect without the ink overlay I was planning to do. I will be linking my angels and books to Funky Junk Interiors. 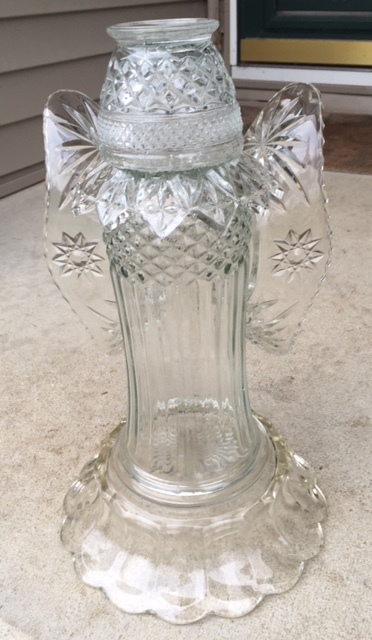 What fantastic creations and gifts! 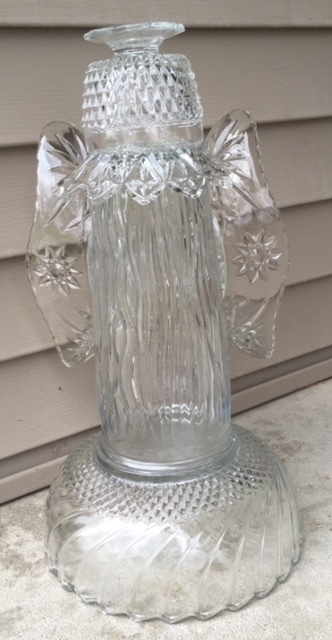 I just love that glass angel - very pretty and what a great gift too!